LeBron X "NSW Lifestyle" finally set for June 15th launch. 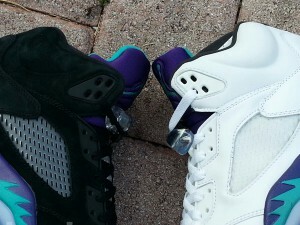 After two delays, the Jordan Retro 5 “Black Grape” is finally set to launch June 15th at 8 AM. This just a little over a month since the Retro V Grapes dropped to much hype and overloaded websites buckled under the demand.